Awaken the healer within as you access the wisdom of crystal grids. 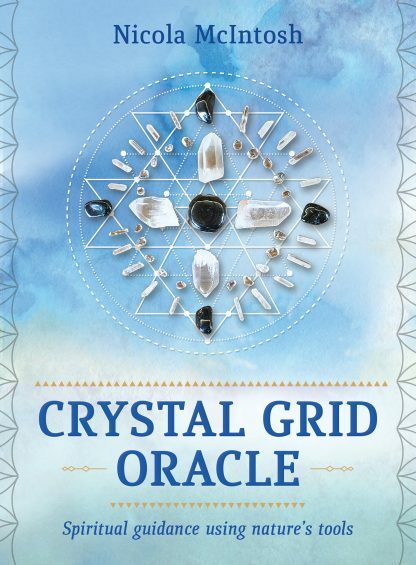 The Crystal Grid Oracle, a tool to aid spiritual growth, will change the way you use and work with crystals and gemstones forever. It opens your consciousness to the medicine of sacred geometry and connects your spirit to the intimacy of nature�s precious gifts. Discover the symbols that will unite you with the pure crystal source of abundance, ancient knowledge, passion, and deep healing. By unveiling real energies, you can harness and create magic in your life. Tune in to your intuition through these beautiful gifts of nature and access the wisdom of the spirits within the stones. Nicola McIntosh is an artist, herbalist, and a practitioner of Celtic shamanism. She has always felt a connection to crystals�they speak to her, and she understands them. She feels that they communicate in an energetic manner, and she is humbled and honored to have this connection and wants to share it with a wider audience.